The second-generation 9-5 is effectively the final chapter of the Saab story. It was built in the Trollhättan factory for only 18 months, with the car’s run prematurely halted when the Swedish company went bust. Production numbers only just broke into five figures. Saab’s departure from the motoring world is a big shame, as the cars were always unashamedly different from rival products, despite the fact they were built on General Motors-sourced platforms. Sure, the firm’s insistence on treading its own path increased costs and probably accelerated that 2011 demise, but the upside was brilliantly quirky cars like the final 9-5. 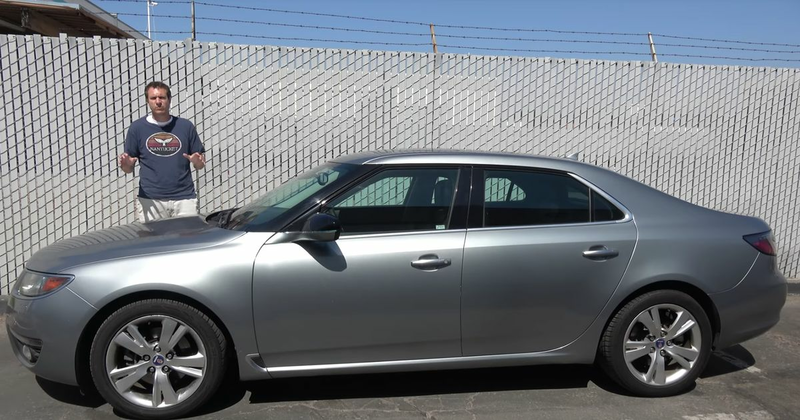 To find out exactly what separates the car from more conventional mid-sized execs, we can turn to lover of quirks Doug DeMuro, who’s dissected a 9-5 in his latest video. There’s plenty to go on, including green dials, a ‘night panel’ (a Saab classic that vaguely links to the jet fighters of the brand’s former parent company), and a fantastically complex armrest/storage compartment.